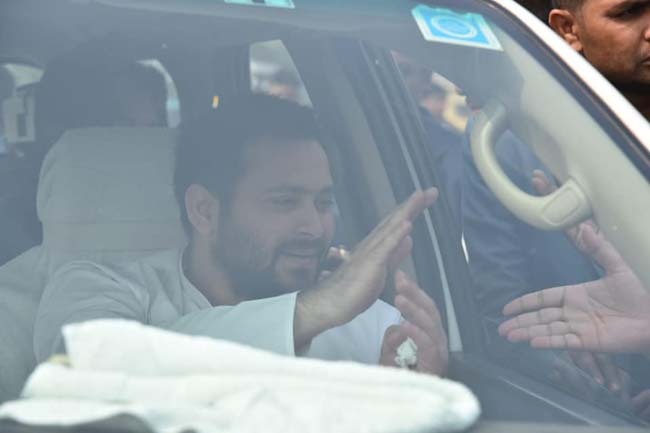 New Delhi, Feb 8 (IANS) The Supreme Court on Friday dismissed a plea by RJD leader Tejashwi Yadav challenging the Bihar government's decision asking him to vacate a bungalow in Patna that was allotted to him when he was Deputy Chief Minister. A bench headed by Chief Justice Ranjan Gogoi also imposed a fine of Rs 50,000 for wasting the court's "precious" time. The Leader of Opposition in Bihar Assembly had moved the top court challenging a Patna High Court's order upholding the Nitish Kumar government's decision asking him to vacate the bungalow.